All campers are required to have a current physical and immunization record on file in order to attend camp. Our medical form can be found here: Medical Form 2019. We can also accept any equivalent form completed by a physician. Camp is where campers canoe and swim, make fires and friends, try archery and outdoor adventure, and explore drama and the arts. But Camp is much more than that. Campers and counselors work together,learn new skills, and build an honest, caring and respectful community where all individuals grow. It is this strong sense of community that translates into an unparalleled loyalty and fondness for Winding Trails, among counselors and campers alike. • Cooperate with similarly aged campers in a unit, and take part in the social and play time of the unit. • Exhibit suitable behavior without needing more than the usual amount of individual attention. • Be responsible for personal care, and individual health and safety. • Follow a varied individual and group activity schedule, that is age appropriate with graduated skill development. • Maneuver rugged terrain and distances between activities that are part of the natural surroundings. 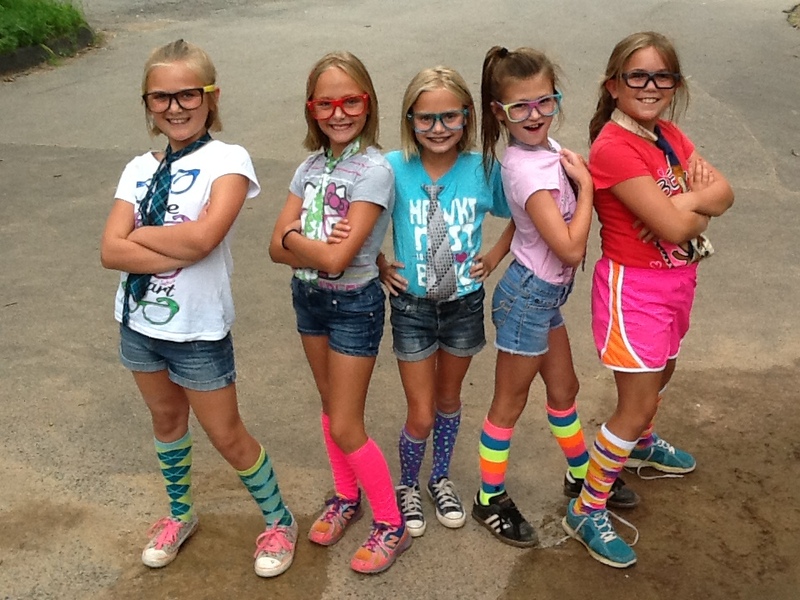 • Understand and respond to group instruction for most of the activities offered at Camp. Throughout the summer, the opportunity may present itself that your child’s picture may be taken for the newspaper or other publicity reasons. It will be assumed that the parent condones this practice unless a written note stating otherwise is received prior to camp beginning. We take every precaution to keep your children cool and comfortable during heat waves. As you know, your child’s safety and well-being are our number one concern. Campers will continue to swim two times a day. We also have sprinklers set up all around the camp and new this year: the camper car wash will be in full use. Counselors will ensure that their campers are taking frequent drinks at the drinking fountains. Please be sure to send your child to camp well hydrated and have a conversation with them on the importance of drinking water throughout the day. In addition, during the heat, counselors will move physical activities to shaded areas during the day. As the heat builds, sports, etc. will be replaced by games of drip-drip splash, as well as other non-strenuous activities in the shade. We will run camp as normal as possible on rainy days and campers will most likely get wet, please provide a raincoat on these days. Most activities will run as planned but some may be altered to make sure the activity remains safe. Free swim and swim lessons will still take place unles thunder and lighting is in the area and in that case will be replaced by on land under cover water safety talks. If the rain persits throughout the day a rainy day schedule may be implemented which may keep campers under cover while specialists and lifeguards rotate to the campers with fun alternative games. As you know, your child’s safety and well-being are our number one concern. In the event of weather that forces us to change our schedule and head indoors we will provide shelter in several buildings around camp. Campers and Counselors will be sent to Garmany Hall, Nature’s Porch, and the Camp Office Building that has 4 inside rooms available for units to be placed. The camp counselors, specialists and lifeguards will keep the campers active with fun games, songs, dancing and board games until the weather has passed. While we understand the need to have your children with you during inclement weather circumstances we can assure you that your campers are safe while at camp and would encourage you not to try and pick up during this time if at all possible. At Winding Trails Summer Day Camp we provide a place for your child to make new friends, and connect with old friends. Campers are grouped by entering grade. We will do our best to accommodate friend requests. Your child may request one friend per summer to be placed with by sending an email or a note formally requesting the pairing. Your child’s friend must be entering the same grade in the fall. Mutual requests are more likely to be honored. If we are unable to honor your request, you will be notified prior to camp. All requests must be submitted by April 1st.